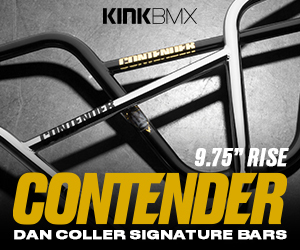 The ever expanding options for 22″ complete BMX bikes continues! Here’s a look at the 2018 Spectrum 22 Complete from Verde! The 2018 Spectrum 22 Complete from Verde is available through BMX shops and mail-orders that carry Verde worldwide in Gloss Black and Slate color options for $499.99! You can learn more about this bike Verde Website. It’s awesome seeing the kids getting introduced to BMX at an earlier and earlier age. We’ve seen some extremely talented kids coming up over the years because the options for bikes they now have to start out on. Fit Bike Co. have added the Misfit Balance Bike to their lineup of 2018 bikes for the youngins’ out there just getting their wheels turning. Above is a look at just how easy it is to hop on one of these and get rolling as Fit Bike Co. owner Chris Moeller gets his two daughter setup on some brand new rides! “It’s never too early to get a FIT, which is why we’re introducing the MISFIT balance bike! Available in Blueberry and Berry, these 12″ bikes encourage kiddos to learn balance and bike control early on, so they’re ready for pedals even sooner! The MISFIT line also features a reflective strip on the tires for added safety and weighs less than 10lbs! Make like “Uncle” Doug and get your little shredder a MISFIT if you’re looking to let the good times roll! Available on FITBIKECO.com for $149.95! Shipping to the continental US is free! Posted: December 12, 2017 Tagged With: BMX bikes, Fit Bike Co.
It’s that time of the year again to get a closer look at the full lineup of complete BMX bikes from the crew at Radio Bikes over in Germany! As expected with their line, they covered a ton of ground this year from their high end Comrad, that we’ve been a fan of the past few years as it has evolved and continued to improve, all the way down to their entry level Dice completes that are available in 20″, 18″ and 16″ to accommodate for any younger rider just getting into BMX! Below you can learn more about each of these bikes that are available through BMX shops and mail-orders that carry Radio Bikes worldwide. Let’s get into! Starting off with our favorite bike in the line of 2018 bikes, the Comrad is Radio Bikes high end complete that is built for the more experienced rider that wants a bike they will be able to send it on and not have to worry if it can hold up to the abuse. This bike starts out with a full chromoly frame, bars and fork and is loaded with Radio Bikes, Salt Plus and Eclat aftermarket parts. The Comrad is available in a clear coat raw color with the multi-colored stem and sprocket for a nice aesthetic touch. You can find a 21″ top tube length, Salt Plus Pro freecoaster and hub guards to keep your wheels safe when grinding. This bike is ready or heavy street sessions right out of the box. The 2018 Valac is another bike we’re really digging. This bike is designed to be a more affordable option to the Comrad with plenty of great features like the full chromoly fork, integrated head tube, the Radio Century Tripod seat, sealed hubs with a Radio Bikes Pro 9-tooth cassette hub in the back and a Salt Summit double wall rim in the back. The 2018 Valac comes with a 20.75″ top tube length and color options of Matte Black and Matte gold. Both bikes come with unique accent pieces to really make it stand out. If you’re looking for a bike that’s more ideal for ramp riding, then the 2018 Astron complete is right up your alley! This bike features a full chromoly frame, fork and bars with responsive geometry, is completely loaded with Radio Bikes, Salt and Salt Plus parts from top to bottom. You can find sealed bearings, tubular chromoloy 3-piece cranks, the Radio Pro 9-tooth cassette hub in the back, Salt Plus Summit double wall rims front and back and the Salt AM Rotor gyro to keep your brakes from tangling up when you’re throwing tailwhips and barspins. The Astron is available with a 20.6″ top tube length and colors of Black and Green Splatter or Aqua Blue! Next up, we have the 2018 Darko complete that is a Mid level bike that is designed with the rider that likes to get into a little bit of everything from street to ramps and dirt at an affordable price. This bike features a mix of Radio Bikes AM and Salt Plus Pro parts with tubular chromoly cranks, a sealed Mid bottom bracket, a semi-sealed cassette hub with a 9-tooth driver, the Radio Century seat and post combo, and the Salt Tracer tires! You can find the Darko complete in 20.5″ and 21″ top tube sizes and colors of Matte Black and Matte Neon Yellow! You can’t go wrong with the Darko complete! Next up we have the 2018 Saiko 20″ and 18″ completes! These Mid range completes are designed for the younger riders out there that are starting to push their limits on an entry level bike, but need something that can hold up to a higher level of riding. Both bikes feature frames, fork and bars made from a mix of chromoly and 1020 hi-ten steel, with a mix of Radio, Salt and Salt Plus parts. You can find great features like the Radio Rookie tubular chromoly 3-piece cranks, Salt AM nylon and fiberglass pedals, the Radio Century Mid combo seat and post, and the Salt Tracer 2.35″ tires up front and in the back! The Saiko 20″ comes with a 19.75″ top tube length and colors of Matte Black and Steel Grey. The Saiko 18″ is a scaled down version of the bike with an 18″ top tube length and 18″ wheels to fit the smaller rider. You can find the Saiko 18″ in Matte Black and Steel Grey, identical to the 20″ version. The 2018 Evol is aimed at those riders just getting into BMX that are a little taller. This bike starts out with a 20.3″ top tube 1020 Hi-Ten steel frame with a 1020 Hi-Ten fork with chromoly steerer tube and 1020 Hi-Ten steel bars. The Evol is loaded with some great features to build a sturdy bike at an affordable price. You can find features like the Salt AM top load stem, Radio Rookie tubular chromoly 3-piece cranks, Radio AM cassette hub with the 9-tooth driver, a Radio Century Mid seat and post combo and the Salt Tracer 2.35″ tires front and back! Not only is the Evol dialed in with some solid parts, it comes in Glossy Black with Neon Yellow accents and Metallic Blue with White accents that both look awesome. Next up, we have the DICE FS complete! This entry level complete BMX bike is for the younger riders just getting into BMX. Even as an entry level bike, you’re getting a ton of great features for an affordable price. The Dice FS has a full 1020 Hi-Ten steel frame, a 1020 Hi-Ten fork with a chromoly steerer tube and front brake mounts, and 1020 Hi-Ten bars, the Radio AM Rotor, AM brakes front and rear for plenty of braking power, Salt nylon/fiberglass pedals, the Radio Century Slim seat and post combo and Kenda Kontact 2.25″ tires front a rear! The 2018 DICE FS has a 20″ top tube length and comes in colors of Metallic Blue and Metallic Green! Just like the DICE FS we just looked at, the 2018 DICE is an almost identical bike, except this version uses only a rear brake and a straight cable instead of the gyro setup and front brakes. Not only that, but the Dice is available in 3 sizes for every rider looking to get into BMX; 20″, 18″ and 16″. The 18″ and 16″ are both scaled down versions of the 20″ to fit the smaller riders better. Not sure what size you might need? Check out this SIZE CHART. This is the bike to get if you’re just getting your young gun into BMX. Each size is available in Metallic Blue and Metallic Green! Alright! Let’s wrap this up with the big one! The 2018 Ceptor 26″ cruiser! If you’re looking for a BMX bike, but you’re looking for something that’s going to be more for cruising along with the ability to jump it when you get the itch and more knee friendly… This is the bike for you! The Ceptor 26″ has a larger 22.7″ top tube length, 26″ wheels with double wall rims and Bombtrack Helix V2 2.30″ tires front and rear for some smooth rolling, sealed bearings, a 26-10 gear ratio for a good mix of speed and ease when pedaling, the Radio Century Fat Tripod seat for plenty of comfort and a strong Saltplus half-link chain. The Ceptor 26″ is the ideal bike for cruising while still knowing it’s going to hold up when you’re itching to get a little loose. This bike is available in an amazing translucent copper color only. That’s a look at the new 2018 Radio Bikes complete BMX bikes that are available through BMX shops and mail-orders worldwide now! Do you have any questions? Which bike do you like best? Let us know in the comments below! Take a look at the brand new 2018 Proton complete from Flybikes! Cranks: Trebol 3 / 3Pc CrMo / 175 mm. The 2018 Proton comes with a 21″ top tube, 75-degree head tube angle, 71-degree seat tube angle, 11.75″ bottom bracket height, 9″ standover height and a 13.2″ chainstay length which is great for street riders, but will work well on ramp, trails or anything else you come across. You can find Devon Smillie Grips on the Proton. Sealed Trebol hubs front and back. The option of a cassette or a freecoaster in the back as well. The 2018 Proton is a great option for the riders out there that want a quality bike without a huge price tag. Do you have any questions? Let us know in the comments below! Check out the 2018 Sion complete from Flybikes. Get a closer look at the new 2018 Sion Complete from Flybikes! It seems like every year the new complete BMX bikes come out that we think “there is no way they can get better than this”… and then they do. The other day Flybikes released their 2018 complete bikes, frames and parts, and they exceeded expectations like many other brands did with their products for this year. One bike in particular that we are really digging in this 2018 Sion, so we figured it would be a good idea to take a closer look at this higher end complete that’s available in a crazy flat translucent blue and a matte black and grey combo. Weight: 11.3 kg. / 24.9 lb. Running through the parts list, it’s mostly made up of aftermarket Flybikes parts, with a few Trebol Brand (Sub-brand of Flybikes) parts like the hubs, hub guards, pegs and cranks. Add in a full chromoly frame, fork and bars and you have one hell of a bike for $720.00. The bike is designed for street riding and adult sized riders, too. 21″ top tube, 9.25″ rise bars, 75.5-degree head tube angle, 9.25″ standover height and a shorter 13.2″ chainstay length. Depending on the color, you either get Space Grey or Black Parts… The Flat Black bike does have the new Grey Devon grips and Fuego tires that will be available on their own as well. Flybikes Tractor sprocket and Trebol 3-piece cranks. New Sergio Layos signature Sierra Tripod seat that will be available aftermarket as well. Trebol sealed front hub and sealed cassette hubs. This bike also comes with the Trebol Bueno plastic pegs and hub guards, which is a nice perk. The Devon Smillie signature Devon grips in the new Grey color that is available aftermarket as well. Colony BMX coming through with another video giving you a look at one of their 2018 complete bikes being unboxed and built up! This time around we get a look at the new 2018 Endeavour complete being dialed in by Dave Dillewaard! Take a peek! “Unboxing & build of a 2018 Colony Premise complete bike in the Matte Black colourway. Available now across the globe. If you follow Subrosa, then you know they have been hinting at a collaboration with Nuclear Blast for a little while now. Today we finally get a look at what they have been cooking up! To celebrate Nuclear Blast’s 30th anniversary, they have a special edition Subrosa X Nuclear Blast – Blast Beast 24″ Double Top Tube frame and an Blast Beast 26″ complete with a matching pad set and number plate! These will be super limited edition and it sounds like they can only be pre-ordered through the Nuclear Blast Webstore. Get a full look and more details below! “Subrosa has teamed up with Nuclear Blast to celebrate their 30th Anniversary and their love of BMX! Check out details of the project and find out how to get a piece of this very rare limited collection! Heavy Metal and BMX collide to create the Subrosa / Nuclear Blast “Blast Beast 26” complete bike and “Blast Beast 24” double top tube frame! The two brands have teamed up in the past with music for videos, of course the Slayer bikes, and this time we got together to create some awesome products to celebrate their 30th anniversary! These bikes were produced with the same quality and attention that Subrosa is known for, but in extremely limited numbers to ensure that each fan receives not only a badass ride, but a special piece of history. Both the complete bike and frame will be very limited pieces! Each bike will feature a custom serial number and authentic stamped number to indicate what number yours is! Nuclear Blast is only going to offer 30 of Blast Beast 26″ complete bikes and 50 of the Blast Beast DTT frames! As if that wasn’t enough Nuclear Blast wants to hook you up with even more! The Blast Beast 26 complete will also come with a custom limited edition Subrosa/Nuclear Blast/Flite/Vans Number Plate, listed edition Subrosa/Nuclear Blast/Flite/Vans Pad Set, and an exclusive Nuclear Blast Enamle Pin! Radio Bikes have released their 2018 complete bikes! 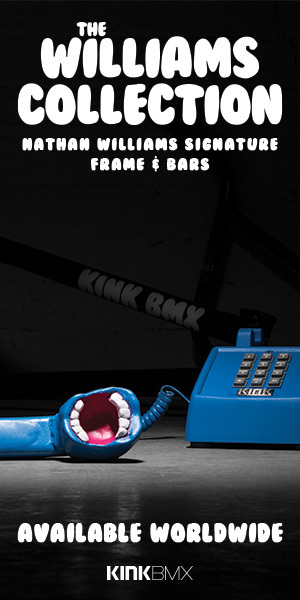 This year they’ve done a great job of updating the existing bikes with the latest and greatest to get the most dialed BMX bikes for an affordable price. They’ve also added in a few new options to their line like the 26″ Ceptor and a 700C Divide. You can take a closer look at each of the bikes in the catalog below. The bikes are heading out to BMX shops and mail-orders that carry Radio Bikes worldwide now, so you can expect to see these popping up shortly! You can take a closer look at each of the bikes from the 16″ Dice to their high end Comrad (pictured above) and more by visiting the Radio Bikes website.